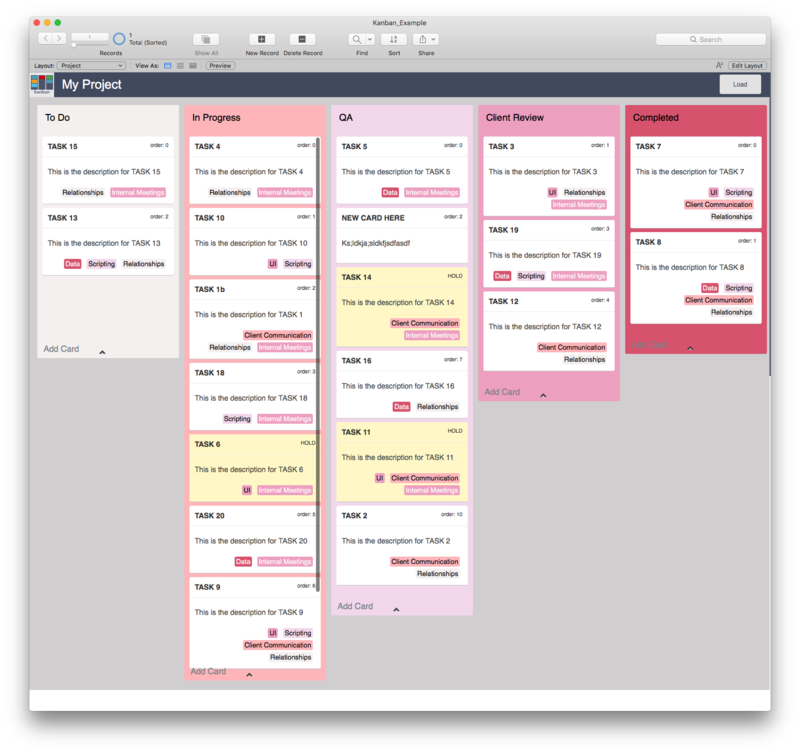 Welcome to Kanban, the FileMaker Kanban tool. Kanban is a Trello-like tool that allows you to visualize your data on a board in columns (lanes) and cards. The cards and lanes can be organized. A card can be edited, tags can be added, and all the changes are saved to FileMaker. The styling of the board, lanes, and cards. Our example provides additional functionality that might be useful. Data Storage: Each time the data is changed on the board, the entire JSON object is saved back to a FileMaker field. Saving Data: Each time a lane or card is repositioned, the data is saved to FileMaker. There are many possibilities for you to make it your own. Check out the Customization page for further details.